My current research interest is in the areas of formal language theory, of natural/DNA computing and of complex dynamic systems. I am particularly interested by the computational power of different models (decidability and computational completeness), as well as by the universality problem. Other research topics are bioinformatics and systems biology. M. Margenstern, G. Păun, Y. Rogozhin, S. Verlan (2005), "Context-Free Insertion-Deletion Systems", Theoretical Computer Science. Vol. 330(2), pp. 339-348. Computational completeness of context-free insertion-deletion systems of sizes (3,2) and (2,3). Characterization of context-free insertion-deletion systems of size (2,2). Asymmetrical systems and first incompleteness results. S. Ivanov, S. Verlan (2015), "Universality of Graph-controlled Leftist Insertion-deletion Systems with Two States", In Machines, Computations, and Universality - 7th International Conference, MCU 2015, Famagusta, North Cyprus, September 9-11, 2015, Proceedings. Lecture Notes in Computer Science, Volume 9288, pp. 79-93. Springer. Introduction of systems with regular contexts. M. Margenstern, Y. Rogozhin, S. Verlan (2004), "Time-Varying Distributed H Systems with Parallel Computations: the Problem is Solved", In DNA Computing: 9th International Workshop on DNA Based Computers, DNA9, Madison, WI, USA, June 1-3, 2003. Revised Papers. Lecture Notes in Computer Science, Volume 2943, pp. 48-53. Springer. Computational completeness of the iteration of the splicing operation. S. Verlan, M. Margenstern (2011), "Universality of Splicing Test Tube Systems with Two Tubes", Fundam. Inform.. Vol. 110(1-4), pp. 329-342. Universality of the long-standing problem of 2-test tube systems. A novel distributed computing model using length filtering instead of random context or target filtering. A. Alhazov, Y. Rogozhin, S. Verlan (2012), "On Small Universal Splicing Systems", International Journal of Foundations of Computer Science. Vol. 23(07), pp. 1423-1438. The smallest universal system based on the splicing operation (having only 5 splicing rules). 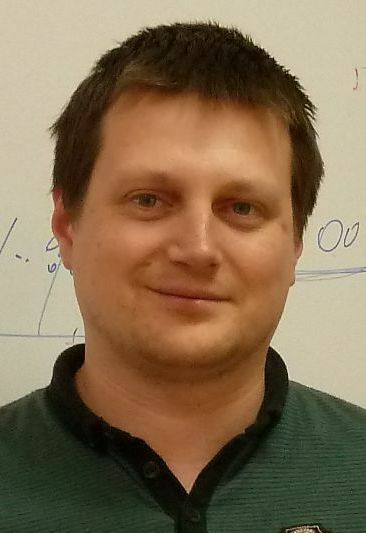 A. Alhazov, S. Verlan (2011), "Minimization Strategies for Maximally Parallel Multiset Rewriting Systems", Theoretical Computer Science. Vol. 412(17), pp. 1581 - 1591. Universality of maximally parallel multiset rewriting (using only 23 rules). R. Freund, S. Ivanov, S. Verlan (2015), "P Systems with Generalized Multisets Over Totally Ordered Abelian Groups", In Membrane Computing - 16th International Conference, CMC 2015, Valencia, Spain, August 17-21, 2015, Revised Selected Papers. Lecture Notes in Computer Science, Volume 9504, pp. 117-136. Springer. Definition of the maximally parallel rewriting over Abelian groups. S. Verlan, J. Quiros (2012), "Fast Hardware Implementations of P Systems", In Membrane Computing - 13th International Conference, CMC 2012, Budapest, Hungary, August 28-31, 2012, Revised Selected Papers. Lecture Notes in Computer Science, Volume 7762, pp. 404-423. Springer. FPGA implementation of the maximally parallel multiset rewriting. Precomputation based on Chomsky-Schutzenberger theorem and formal power series. Spedup of order 10 5. A. Spicher, S. Verlan (2011), "Generalized Communicating P Systems Working in Fair Sequential Mode", Scientific Annals of Computer Science. Vol. 21(2), pp. 227-247. ``A.I. Cuza'' University Press, Iasi. Link between fairness condition in Population protocols and Gillespie algorithm. R. Freund, S. Verlan (2007), "A Formal Framework for Static (Tissue) P Systems", In Membrane Computing, 8th International Workshop, WMC 2007, Thessaloniki, Greece, June 25-28, 2007 Revised Selected and Invited Papers. Lecture Notes in Computer Science, Volume 4860, pp. 271-284. Springer. A mathematical framework for the representation of membrane systems and multiset rewriting. S. Verlan (2013), "Using the Formal Framework for P Systems", In Membrane Computing - 14th International Conference, CMC 2013, Chişinău, Republic of Moldova, August 20-23, 2013, Revised Selected Papers. Lecture Notes in Computer Science, Volume 8340, pp. 56-79. Springer. Invited paper. Examples of the application of the formal framework for membrane systems. R. Freund, I. Pérez-Hurtado, A. Riscos-Núñez, S. Verlan (2013), "A Formalization of Membrane Systems with Dynamically Evolving Structures", International Journal of Computer Mathematics. Vol. 90(4), pp. 801-815. The extension of the formal framework to support dynamicaly evolving structures. F. Bernardini, M. Gheorghe, M. Margenstern, S. Verlan (2008), "How to Synchronize the Activity of All Components of a P System? ", International Journal of Foundations of Computer Science. Vol. 19(5), pp. 1183-1198. Firing Squad Synchronization Problem for tree structures. S. Verlan, F. Bernardini, M. Gheorghe, M. Margenstern (2008), "Generalized Communicating P Systems", Theoretical Computer Science. Vol. 404(1-2), pp. 170-184. Computational model based on signal synchronization and spatial displacement. S. Verlan, A. Alhazov, I. Petre (2010), "A Sequence-Based Analysis of the Pointer Distribution of Stichotrichous Ciliates", Biosystems. Vol. 101(2), pp. 109 - 116. Shown that AT% discriminates the positions of pointers during ciliate assembly. In-vitro construction of DNA circuits based on isothermal RCA and SDA. I am currently teaching at the Department of Computer Science, University of Paris Est Créteil. I am also responsible for the Bachelor degree in Computer Science at our university. Introduction to basic data structures. NIO and serialization in Java. Basic course on compiler design. A course on the WEB application security based on OWASP Top10. Emphasis on penetration test training, vulnerability detection, source code analysis, Qualys certification preparation. A short version of this course is given at Åbo Akademi in the frame of ERASMUS program. Basic course on operating systems.